E-commerce distribution is booming, and the demands on companies to accurately, quickly and cost-effectively fulfill orders are relentless. These companies compete not only for market share, but for employees and internal resources that can be scarce. Finding ways to execute orders at speed is a critical concern for modern e-commerce companies. The growth has been relentless—more than tripling in the last half-decade—and the pace is picking up. You will be asked to execute increasingly complex tasks driven by customer demand to an infinite number of delivery locations with an ever-increasing, shifting SKU count. 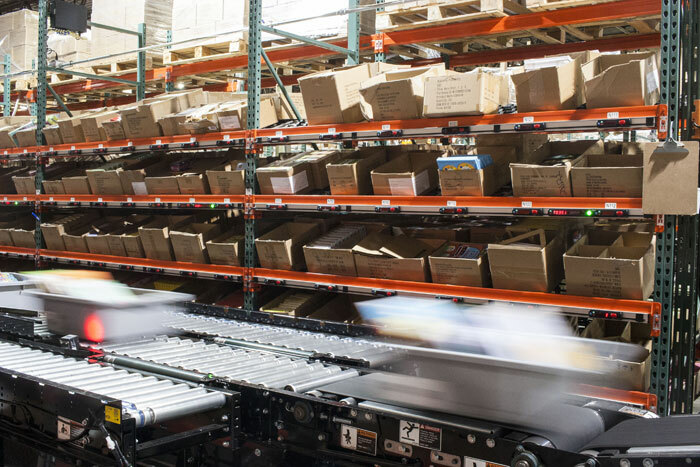 Intelligent automation, smart warehouse design, and consistent performance are critical for every distribution center, but matter more for e-commerce. Let us help you create a sustainable operation with efficient picking, packing, shipping and return departments that help you fill more orders in less time and more accurately. Customers today have infinite options—and can change their minds with a whim and a click. They require fast, inexpensive shipping. They want to easily return items. They are infuriated by errors and damaged product. They want more options and more ways to order them. They want to source it as simply as possible. Distribution performance is more critical than your company's customer service center and website when it comes to satisfying customers and retaining market share. Great products succeed only when delivered on time, accurately, and damage-free. That starts with order fulfillment. We offer a suite of solutions to enhance order picking operations. Conveyor systems: Conveyor integrations that drive the process forward are critical to faster throughput, labor efficiency and better performance. Utilizing the right system, designed for the right situation means that your entire operation and everyone in it is working in synch and without needless delays. Successful implementations interface with sorters, robots, pick modules, many departments and types of machinery to create efficiency and improve product flow. Conveyors are the circulatory system of the modern order fulfimment center, and must be designed for longterm functionality. Pick-to-light: Paperless picking operations are faster and more accurate by an order of magnitude. These systems are so accurate that clients like Educational Development Corporation eliminated their entire quality control department and simultaneously reduce picking errors. Pick modules, mezzanines and platforms: In many e-commerce facilities, pick modules and mezzanines are needed to fully utilize vertical space. These systems utilize a combinations of storage racks, mezzanines, conveyors, and flow storage to facilitate high-density, fast order picking. Carousels concentrate certain SKU types into high-density storage areas, where they deliver goods-to-person picking without consuming much space. In some qualified instances, e-commerce can rely on full AS/RS automation. High-density storage, such as carton or pallet flow allows fast, accurate picking. Robotics, ranging from picking to palletizing systems, and the conveyor integrations needed to drive the process forward. Facility layout & design assistance: We help e-commerce companies create a productive and space-efficient facility. Storage equipment: Cisco-Eagle can help with a variety of racks, shelving and other storage equipment needed in a distribution facility. Don't allow your packing operation to become a bottleneck. Conveyors, including accumulation systems that create automatic buffers for the packing department. These systems deliver cartons quickly and directly to packers. 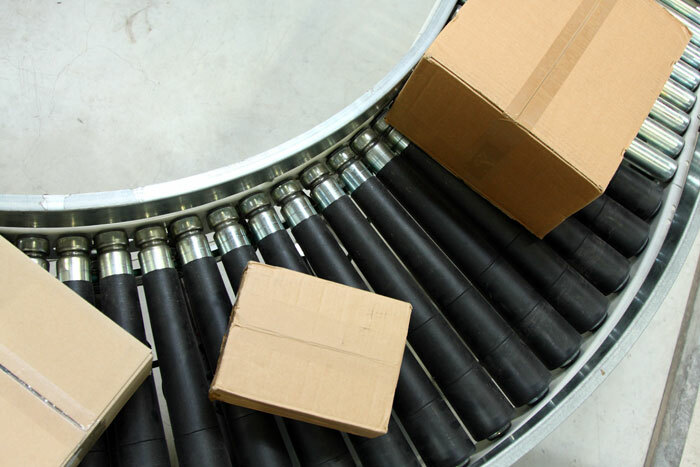 A well-executed system queues up orders on the conveyor to await a packing destination, then delivers it to a waiting truck with minimal human interference. Packing stations and work areas: The packing area relies on workstations that deliver all the needed supplies within hands' reach of packers. See: Efficient Packing Station Design. Packaging equipment. We integrate stretchwrappers, packing machines, void fillers and other critical machinery into the process. Dock-to-truck solutions: Many times, an automated process ends at the docks and must be "patched" with manual loading/unloading. We help companies transition from floor to trailer with extendable conveyors that reach into a truck without human intervention. We can help you reduce costs and increase throughput while maintaining accuracy. Contact us today for fast assistance.